Enough With Nintendo Power Please! As we all know, Nintendo Power was a pretty amazing Nintendo Magazine when it was still running. With interesting comics, its own walkthroughs, some memorable covers and later even the Nsider forums, even thinking about it brings back a flood of memories to the many fans who bought and enjoyed it in its heyday. Unfortunately, while it’s a good magazine, I can’t help but think; is Nintendo Power a tad overrepresented on the internet? Because let’s face it, as good as it is, it’s not the only Nintendo Magazine ever released. Nor do we ‘all live in America’ (as TV Tropes would put it). So where’s the coverage and articles and look backs on other Nintendo Magazines? 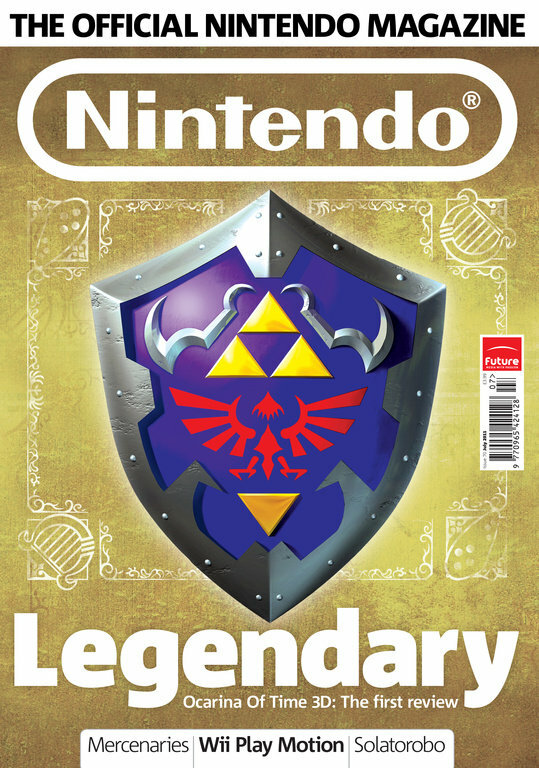 For example, over here in the UK (where I’m from), we got a magazine called Nintendo Official Magazine. Well, not that’s technically not quite right. It went through quite a few names actually, ranging from Nintendo Magazine System to Nintendo Magazine to Nintendo Official Magazine and finally Official Nintendo Magazine (once Future Publishing took it over). And while it may not quite compare to Nintendo Power in terms of how iconic it is, the magazine actually quite a bit of history and culture behind it. For example, back in the days of the original Pokemon titles, the magazine were the ones in charge of the official Pokemon events in the UK. Wanted to download Mew to your game? Well, maybe my memory is a bit wrong here, but I recall you actually had to beat one of the magazine’s staff in a Pokemon link battle. That was certainly a novel way of handling the whole ‘event Pokemon’ concept. Treat it like a gym or elite four battle and have the player prove they’re a decent trainer first. You could also mail in your team and get feedback on how well balanced they were (or I guess how well they’d cope with the original gen metagame). That was quite an interesting feature for a while. They also released the official strategy guides for the first two Pokemon generations, kind of like Nintendo Power and their walkthroughs. The Red and Blue was memorable because… well, they didn’t quite stick to the bland ‘cheats’ most official sources recommended. For example, the Safari Zone glitch was featured in their walkthrough, along with the (now hilariously debunked) ‘hold up and B when throwing a Pokeball to catch the Pokemon easier’ trick that’s been around for eons. Above: One of the most useful bugs ever, if you can get Chansey, Scyther or Kangaskhan to appear. Talking of glitches and cheats, that was another interesting thing about the magazine. You see, normally official sources just kind of recommend vague in game tips like ‘get 150 Pokemon for a certificate’ or ‘beat this cup in Mario Kart to unlock this next one’. These guys didn’t. They posted info on how to do the various shortcut glitches in Mario Kart 64, the various other glitches in Zelda games like Ocarina of Time… heck, the original team even outright encouraged people to snake in Mario Kart DS and called those who hated on it scrubs and told them to stop complaining. They opened a forum up online, which was pretty much the exact opposite of Nsider. Remember that place? Remember how Nintendo of America employees would lay down the law after the most minor offence and ban a whole lot of things because of ‘safety’? Well… the ONM forums were not like that. For one thing, they were quite fine with friend code sharing, like the rest of the internet. Whereas on Nsider even mentioning them would get the topic locked down hard, over on the ONM forums there were topics and sections for them and they were often in people’s posts and signatures. And the attitude towards fan works was a bit lighter too. Fan games were a fine enough topic to talk about, fan sites could be linked to in signatures and profiles like usual, and heck, near the end, half the regular writers on their site were fans. Heck, one of the people writing the odd column for them was Joe Merrick, who you might know as the owner of Serebii.net. They must have really liked that site over at the magazine, since it was pretty much their go to source for Pokemon news, even if Nintendo themselves hadn’t officially released the information yet. I also liked how positive they were towards Rare’s works. Okay, that’s sort of expected given that British gamers tend to like Rare in general, but at a time when the likes of Nintendo Power were attacking Donkey Kong Country and the likes for being ‘overrated’ compared to Yoshi’s Island or whatever, it was nice to have a magazine which would often talk about how much Banjo-Kazooie and Conker should return to Nintendo’s systems. Oh, and you need another example? Well, what do you think their best rated game ever was? Donkey Kong Country 3. Like literally, the game outscored Ocarina of Time back when the magazine was called NOM. The game got about 98% compared to Ocarina of Time’s 97%. And that’s just a small example of what went on in just one regional Nintendo Magazine. Remember, Australia had their own Official Nintendo Magazine as well. Japan had a magazine called Nintendo Dream, which likely has its own stories to tell. Italy? Nintendo La Rivista Ufficiale. Nintendo World is a semi official Brazilian equivalent. And France had an Official Nintendo Magazine at one point too. How about unofficial ones too? N-Gamer was pretty popular when it was running too, and had a ton of interesting content and in jokes and what not. Either way, I think it’s time we stopped assuming everyone who likes Nintendo is American and that Nintendo Power is the only Nintendo related magazine that’s ever mattered. For those of us in other areas of the world, let’s spend a bit of time looking back at our own magazines and media from our own countries, since there’s a lot to appreciate and a very limited amount of coverage online. But what do you think? Is Nintendo Power perhaps a bit overrated now? Do its equivalents in other regions deserve to get a bit more attention spent on them? I always enjoyed Nintendo power but got into it very late. Towards its end it was losing its purpose but at the start it was a must have for any nintendo gamer. In Mexico I grew up with two Nintendo magazines and never heard of Nintendo Power until I became part of online communities. Since I was in school I remember "Club Nintendo". Nintendo Power being shut down? Is the Next Nintendo Power ‘exclusive’ Call of Duty Black Ops 2?